Arsenal have announced that Alex Iwobi has ended speculation over his future after signing a new long-term contract with the club. Iwobi has been on Arsenal’s books since he was just nine years old and worked his way through the academy ranks before breaking in to the first team set-up in 2015. 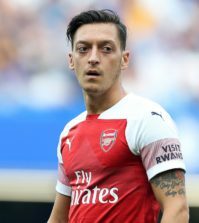 The 22-year-old has gone on to make 98 appearances, scoring 9 goals, but he failed to really push on and cement himself as a regular under previous boss Arsene Wenger. Iwobi has been linked with a move away from the Emirates this summer with Lazio reportedly showing an interest but it seems Unai Emery is keen to develop the midfielder over the coming years. 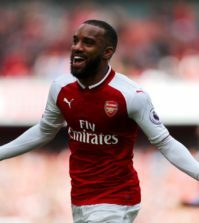 The club have confirmed this afternoon on Arsenal.com that Iwobi has signed a long-term extension with the Evening Standard claiming the new deal will run for five years, tying him to the club until 2023. Iwobi can be a hugely frustrating player as he had bags of potential but his end product often let’s him down and I must admit I have serious doubts as to whether he’s good enough for Arsenal. However, he’s showed glimpses of what he can do and always produces the good when he plays for Nigeria so hopefully he can develop under Emery and enjoy a solid career at Arsenal. 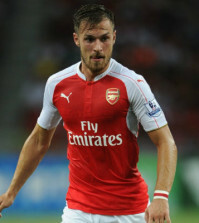 Now it’s time for Aaron Ramsey to sign on the dotted line….